This wasn’t the 1st, 2nd or even my 3rd time sampling this particular whisky. However it was an exceedingly apt way to kick start our Whisky Ladies evening exploring whiskies with a Northern Lights connect. As soon as the bottle came out, a fellow Canadian couldn’t help but recall her youthful follies with a quintessential Canadian drink – Rye and Ginger aka ginger ale. It made us think of making a terrific Old Fashioned or Manhattan. 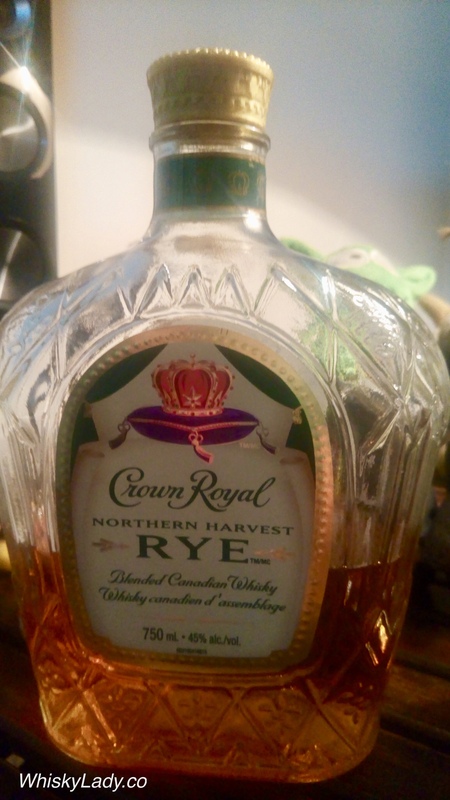 This entry was posted in Beyond Scotland, Canada and tagged Crown Royal, Crown Royal Northern Harvest Rye, Northern Harvest Rye by Carissa Hickling. Bookmark the permalink.